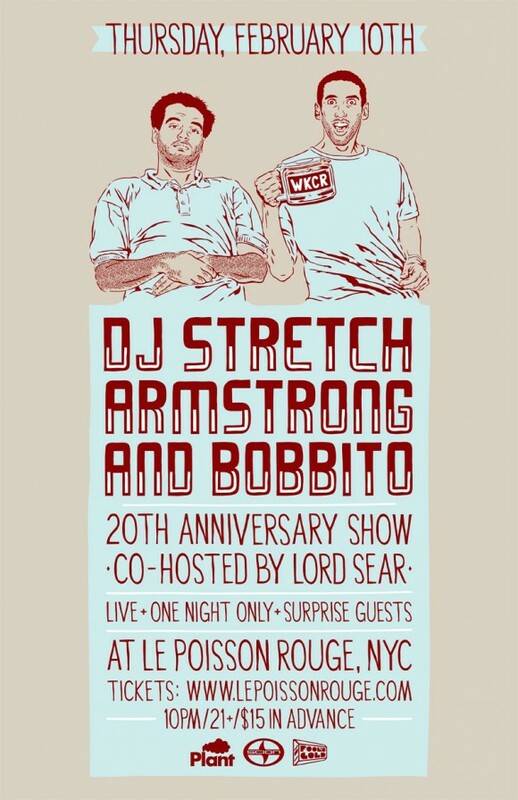 The Village Voice declared the Stretch Armstrong and Bobbito Show "the best hip hop show in New York" and Source voted it "best hip-hop show of all time". I often talk about new york city’s old school days, particularly what it was like in the late 90’s (aka the golden era of hip hop). one guy that always stood out then ( and now) is DJ Stretch Armstrong. He ruled the city’s club scene and changed hip hop as we know it by understanding that underground music was heading to the mainstream. Stretch has since taken his expertise into music supervision as a consultant for brands developing their musical identity and His first book, titled "No Sleep: NYC Club Flyer Art, 1988-1999," was released through Powerhouse Books. I’ve added some additional links below, including a recent podcast with one of my favourites- The beastie boys. Today Stretch and Bobbito share history and discuss their new NPR podcast on Spotify, where you can listen to all the latest "What's Good with Stretch and Bobbito" episodes as well as enjoy their new playlist. COver photo of Stretch Armstrong, by Leila Antakly circa 2006.